I recently acquired two banknotes that are pertinent to these reports. 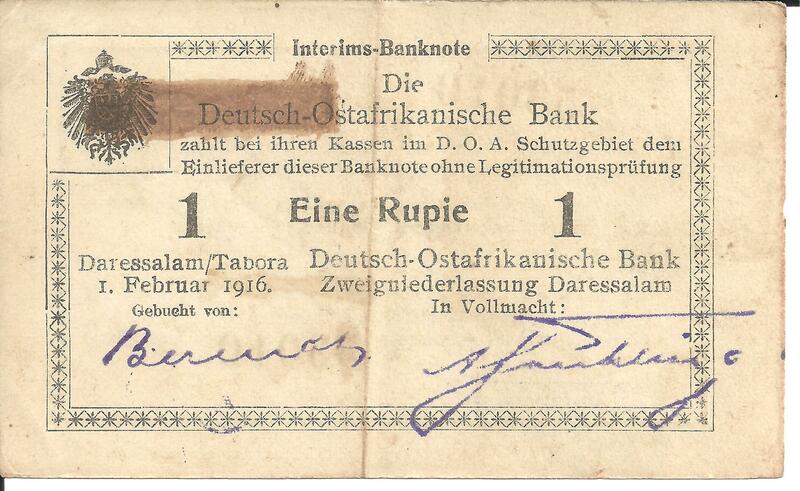 The first is a one rupee note issued in February 1916 by the Deutsch-Ostafrikanische Bank (German East Africa Bank). 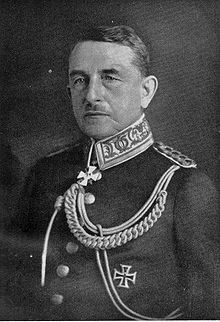 It is actually an Interims-Banknote, a provisional banknote, which is hardly surprising inasmuch as the German colony was being invaded from every side. Cut off from Germany and losing all the major towns, the colonial authorities began printing these emergency bills, ultimately using every sort of paper – even wrapping paper and wall paper – they could get their hands on. When the regular paper ran out, they began using paper made from jute. Coins were being minted from shell casings. 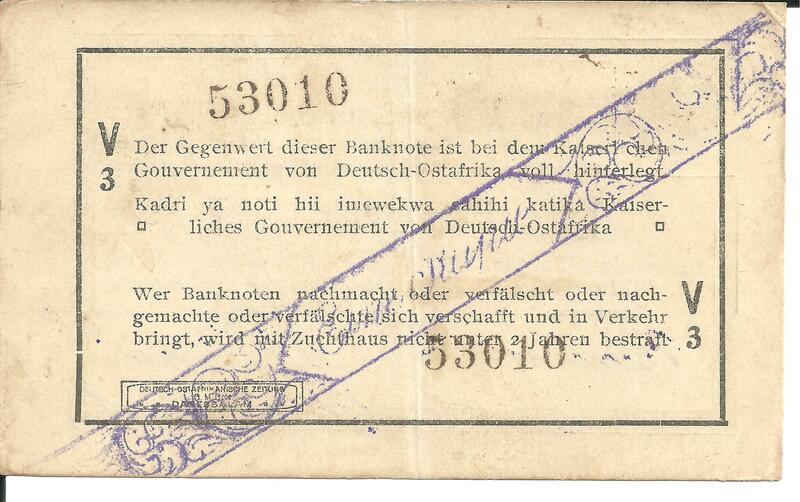 When Lettow-Vorbeck had to abandon the capital, Dar es Salaam, Governor Heinrich Schnee accompanied him and insisted on bringing the four tons of remaining banknotes. This load required 400 porters and slowed the march, causing Lettow-Vorbeck to threaten to burn the lot if he was delayed again. When in 1917 this supply was gone, along with the mints in Dar es Salaam and Tabor, Lettow-Vorbeck used a child’s printing kit to make crude Buschnoten, bush notes. 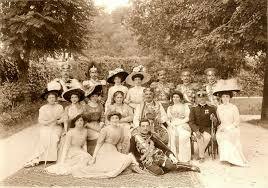 One wonders what a single rupee would get one in 1916 Tanganyika. The second is more interesting – well, at least to me. 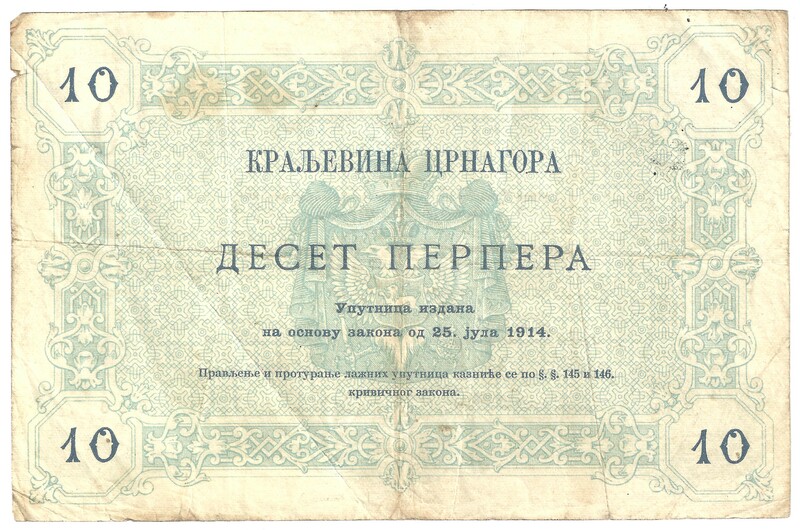 This is a ten perpera note issued in July 1914 by the Kingdom of Montenegro – Краљевина Црнa Горa (Kraljevina Crna Gora). Why is this interesting? 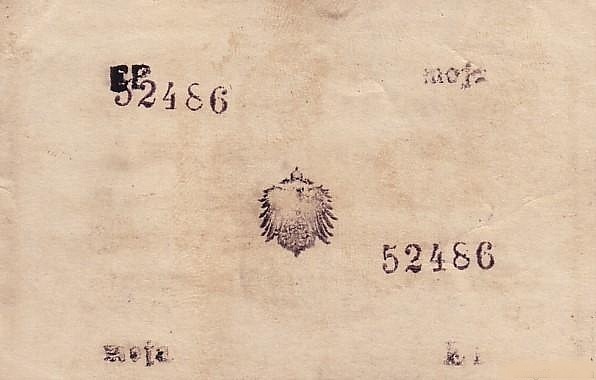 Because although Montenegro was a discernable and frequently independent principality from the 16th century and was formally recognized as a kingdom by the Treaty of Berlin in 1878, it issued its own currency for only twelve years – or perhaps less. In the second half of the 19th century Montenegro was using the Austria-Hungarian kroner (at least I think so, inasmuch as the new Montenegrin currency was based on the kroner), and this remained the case after 1878. Prince Nikola I Petrović-Njegoš, ruler of Montenegro since 1860, introduced a national currency in 1906, the perper, named after the currency of Serbia. 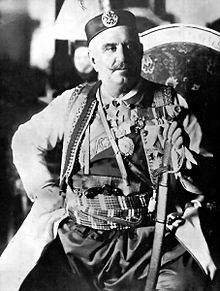 The king of Serbia, Alexander Obrenović, was assassinated in 1903, and Nikola believed himself to be the successor of the now extinct Obrenović dynasty and would unite all the Serbs. The 1906 issue was of small denomination coins, and gold perpera coins appeared in 1910, when Nikola proclaimed himself king. The first banknotes were not printed until 1912. 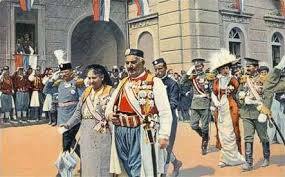 In January 1916 both Serbia and Montenegro were overrun by the Austrians, and Nikola went into exile, ultimately in France. 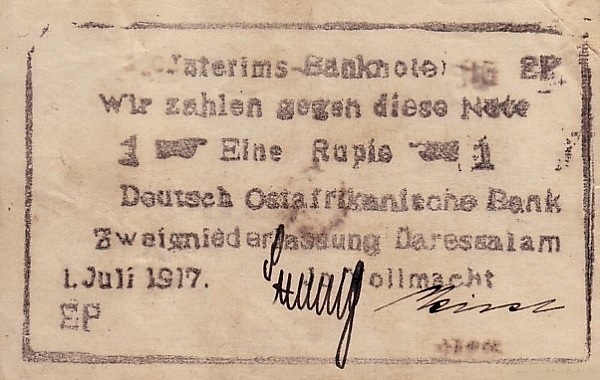 The Austrians subsequently overprinted existing perpera notes and in 1917 issued vouchers in perpera amounts. 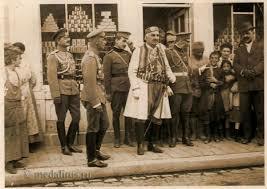 In December 1918 Montenegro disappeared as an independent state, absorbed into the new Serbian dominated state of Yugoslavia, and Nikola was declared deposed, dying in exile a few years later. When Yugoslavia disintegrated in the 1990s and Montenegro became independent again, the government decided to use the Deutsche Mark and then the Euro. 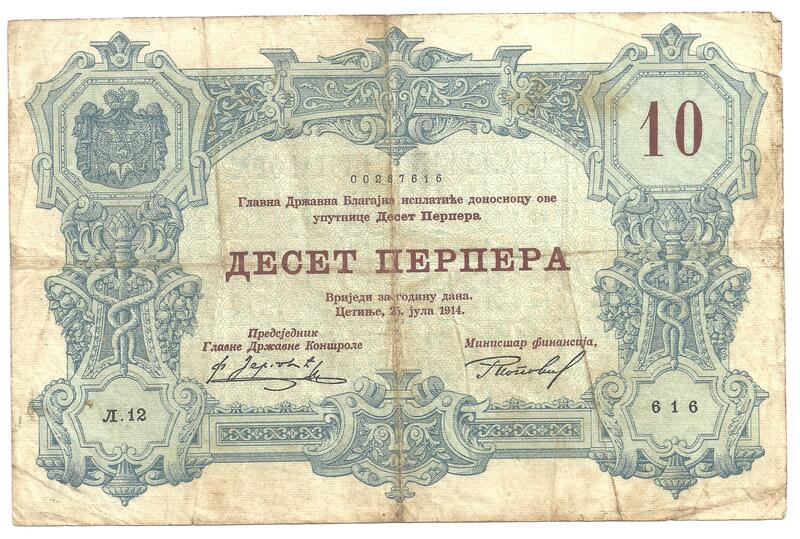 Thus, Montenegro essentially only issued its own currency from 1906 to 1916 and banknotes from 1912 to 1916. 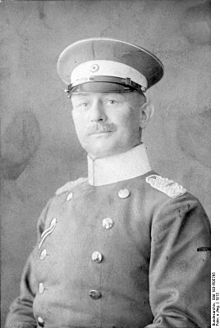 This entry was posted in Austria-Hungary, banknotes, East Africa, Germany, Great War, Heinrich Schnee, history, Lettow-Vorbeck, money, Montenegro, Nikola I, perper, Serbia, war on terror, World War I.